Louisa Watt is a partner and Practice Group Leader of Brown Rudnick’s Special Situations & Distressed Debt department within the Firm's London office. Louisa’s practice focuses on representing investment funds and financial institutions in the acquisition and sale of loan portfolios, syndicated bank loans, debt instruments, derivatives, insolvency, and litigation claims throughout Europe, the United States, and Asia. Louisa has extensive experience of secondary loan trading in distressed situations and the creation of bespoke documentation for complex cross-border loan transactions. Louisa advises clients on all aspects of loan portfolio sales and acquisitions including financing, tax, regulatory, trading, insolvency, and special situations analysis. She advises from the outset of a transaction from structuring the sales process, drafting and negotiating bid documentation, reviewing performing and non--performing loans, trading analysis and execution through to debt restructuring and navigation of the various insolvency regimes throughout Europe. 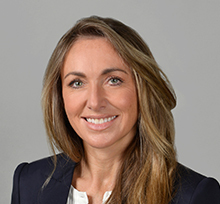 Louisa also advises on the structuring of acquisitions, sales and financing of complex litigation including international arbitration awards, high-value financial disputes, and commercial banking contract claims. Louisa is currently an active participant in the Loan Market Association. She serves on an LMA trading documentation committee that continually reviews and updates the market standard documentation for par and distressed debt transactions as well as an LMA confidentiality committee that advises on issues of confidentiality affecting the loan market. Before joining Brown Rudnick, Louisa was a partner at Cadwalader, Wickersham & Taft LLP where she led the Firm's Loan Portfolio and Debt and Claims Trading practice.